Up until a month ago I had never heard of a saint called Egidio, and even when I found out that it was the Italian translation of St Giles I had to look up who he was. Having done so I discovered that Giles was a hermit monk who lived deep in a forest with only a hind [female deer] for company. One day when the king and his retinue came a-hunting, an arrow, intended for the deer, struck and wounded Giles and thereafter he became the patron saint of those who were physically and mentally challenged and as a consequence were often those cast out from society. 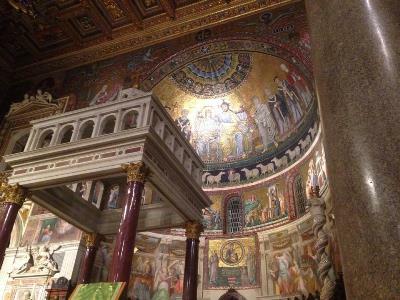 It was therefore entirely appropriate when a community of lay Christians chose the church of Sant’Egidio in the Trastevere area of Rome to become a centre for continuous prayer and welcome for the poor and pilgrims. This was back in 1968 and since then the work that the community has done since and is still doing amongst the poor, the homeless, the dispossessed and quite frankly the unloved has been amazing. 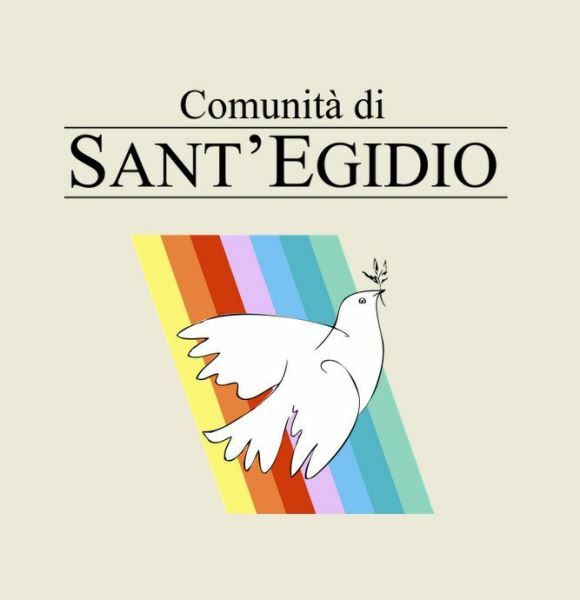 When one thinks of giving it is often in the sense of a monetary capacity – donations to various charities, towards the upkeep of our churches, payrolling the official ministry team – but at Sant’Egidio’s the giving is from the heart, entirely voluntary and selfless. All of the volunteers are lay members of the church, often with full-time paid employment or family commitments who agree to be part of the community as regularly and as often as they can; not simply as an occasional act of philanthropy but as an inclusive life-choice. Their main work is in solidarity with the poor and homeless who end up for a multitude of reasons on the streets of Rome, and who each day are welcomed into the Centre for a meal, use of the washing facilities (both bodies and clothes) and healthcare through the medical centre. The meals themselves are not simply doled out – care and attention is paid to offer a proper substantial meal, with fruits and drinks, presented on cloth-covered tables, proper cutlery and served by the helpers with smiles and respect. 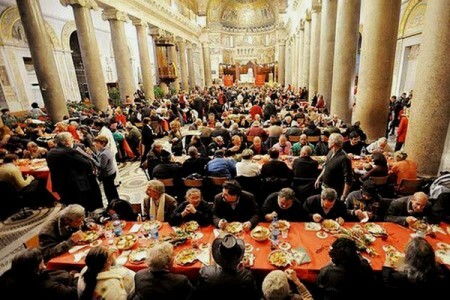 At Christmas time this meal turns into a huge banquet served in the church itself with personalised… yes personalised presents for each and every person there. The Community also provides spiritual support to those in need because the heart and the life of the community is in communicating the Gospel both in word and action. 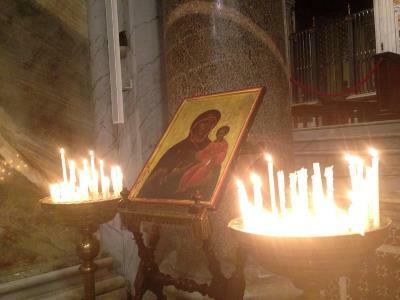 Each day prayers are offered at both morning and evening worship. However, it is often spiritual matters of a more practical nature that are of concern. Many of the street people have been abandoned by or lost touch with their families and they are worried about what will happen to them when they die. Here the community steps in to reassure them that even at this moment they can rest assured that as part of the community family they will receive a proper funeral and their memories will be treasured through continuing prayer. 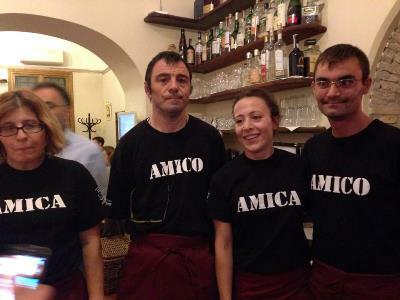 The work of the community doesn’t stop at acting responsively, it is also proactive and its project in setting up and running a restaurant staffed by a unique mix of ‘amico and amica’ – some of whom have learning disabilities – is a great success which is drawing comments from neighbouring establishments who are now beginning to be more inclusive in their own choice of staffing – and the food is delicious too! Other projects that the community is involved in are working with immigrants, refugees and the Roma people to overcome language barriers where bureaucracy is involved and running ‘Schools of Peace’ for families and children. They are also active in ecumenical dialogue, which is just one of the reasons we were welcomed so warmly during our visit. All in all I came away from the experience feeling incredibly uplifted by the sheer demonstration of what can be achieved when we choose to live our lives wholly sacrificially – because joy certainly abounds when Christ is placed at the centre of everything.